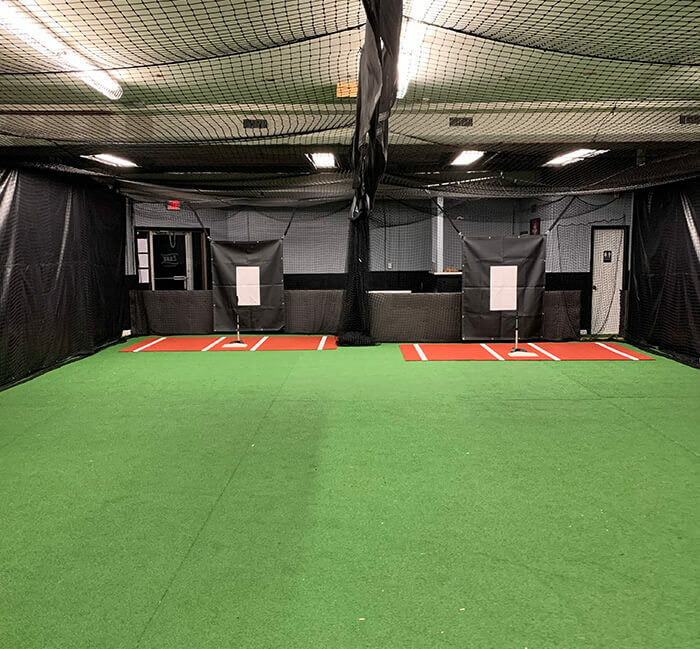 The Cage Offers Indoor Training Year Round. Private Lessons for Baseball and Softball from Tee Ball Thru High School Level. Indoor Batting Cage, Camps and Clinics and More! Book your weeks early before we sell out! The Cage - Sports Development Center is the Offical Training Center for Eastern A's Travelball. Train all year long in our indoor climate controlled turf training facility. Home of The Eastern A's Travelball Org. We provide training for baseball players from T-ball thru the High School level. The Cage is great for team rentals for the following sports. Baseball, Softball. Located in Riverhead NY serving both the North and South Forks of Long Island. Our hours vary day by day and you must reserve your time slot. We do not accept walk ups! Our Travel Baseball program consist of teams ranging from 9u to 16u. We take our athletes from the early stages of development all the way through college showcases. We are all about player development. Want to Play for the eastern A's - Click here to register. Indoor climate controlled training facililty with an oversized tunnel and padded turf training area. Great for team workouts or individual training. With a parent lounge. Year Round Training! Make an Appointment and check our Times and Schedules for weekly events. You must make an appointment and Book Your Time Slot. Baseball and Softball Lesson, Camps and Clinics, Batting Cage Rentals, Birthday Parties. Please fill out a liability form and submit it for the program you are signing up for. Our birthday Party Packages start at $325 for a 2 hour party. See flyer for details. New Nerf Gun Wars Party! Teams can rent out The Cage for team practice or Instruction. Great for Little League Teams or Travelball Teams. See flyer for more information. Our Batting Cage is available in Half Hour or Full Hour Rentals. Unlimited amount of Balls (Baseball / Softball). Half Hour Time Slot $20. Full Hour Time Slot $40. You Must Reserve Your Time Slot. General Information / 6 Pack Special. Lessons are available for hitting, pitching, catching, fielding, speed/agility and strength/conditioning. All private lessons are one on one instruction. "Coach Pat has amazing coaching qualities. He not only has the knowledge of baseball which enables him to teach, but also the ability to inspire. He sets a fantastic example of what a coach should be." The Cage will be offering indoor baseball camps for Pitching, Hitting and Catching throughout the year. Follow Us on our facebook page for updates. View flyer for Dates, Details and Registration form. The Cage will be offering clinics for Pitching, Catching and Speed & Agility throughout the year. Every Saturday Night from 6-7pm for Only $10 Pay as you go. All Ages welcome. Boys and Girls. Party Package includes Pizza, Refreshments, One and a Half Hours of Play on The Cage Turf Field and more. Fundraiser or End Of Season Parties also available. We had my son's 9th birthday party at The Cage, this summer. It was the best decision I made. Coach Joe makes it so easy, and extremely fun for the kids. It was non stop dodge ball and Nerf gun war for 2 hours straight. I had 15 kids and they barely wanted to stop and eat. I would highly recommend a birthday party at the Cage. 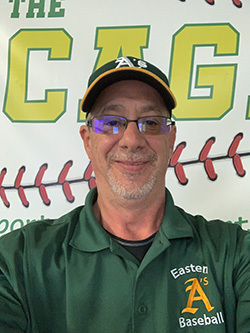 Professional Baseball Scout, College Scout (Baseball / Softball), Hitting Instructor, Pitching Instructor, Travelball Coach 11yrs, Gm of The Eastern A's. Coach Joe has been training players on the east end of Long Island for over 15 yrs. 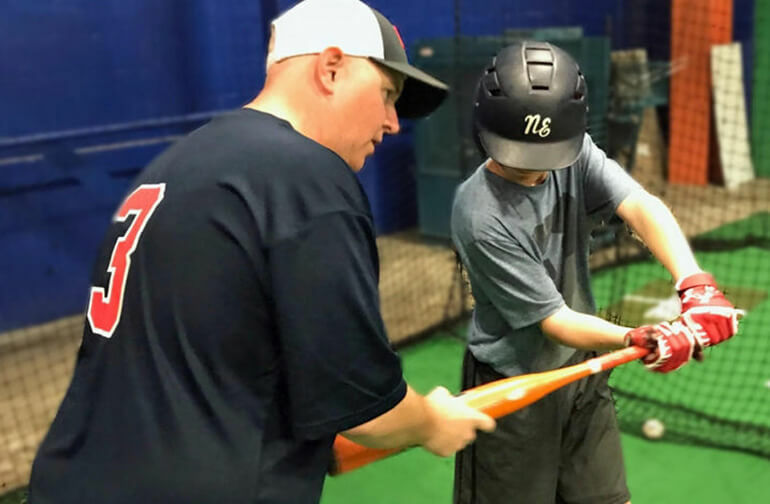 Experienced instructor, coach and professional scout along with his desire to make every player the best they can be and to learn the game of baseball the correct way through proper training of mechanics and knowledge of the game. View Upcoming Events and request a reservation for use of our facility. Pick the day you are looking to book. All open time slots for the day will be listed. Contact us with any questions you may have regarding our facility and appointments. Follow us on facebook for daily updates, news and open time slots. © 2019 Cage Sports Development Center LLC.